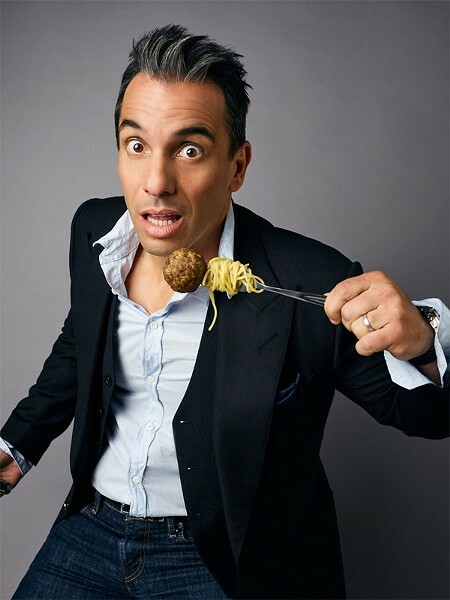 Comedian Sebastian Maniscalco proudly brags that he is "half-Sicilian and half-Italian," and he isn't afraid to tell it like it is. He's bringing his boisterous brand of humor to town this week. Maniscalco rocketed to fame in 2006, when Vince Vaughn selected him to be a featured performer in his critically acclaimed "Wild West Comedy Show." From hysterically funny rants on airport security, to musings on how we react to the doorbell ringing and wild physical comedy, Maniscalco is always moving at a frantic pace. He produces and stars on the popular "Pete and Sebastian Show" podcast on SirusXM radio and he was included in People Magazine's 'Ones to Watch' list. Maniscalo's book, "Stay Hungry," which comes out next month, is the basis for his show in Rochester this weekend. Maniscalco performs at Thursday, January 25, at 7:30 p.m., and Friday, January 26, at 7 and 9:30 p.m. at the Auditorium Theatre (885 East Main Street). Tickets cost $42.75-$62.75 and can be purchased at tickemaster.com or by calling RBTL's box office at 222-5000.